I first heard about IBB‘s declaration of intent to run for the position of President of Nigeria while in Jakarta attending the World Movement for Democracy‘s 6th Assembly. Since then, many people on social networks like Facebook have been asking me to join one or other campaign opposing IBB‘s bid to run. So far, I haven‘t done so. Principally because I think all citizens in a democratic country have a right to seek any office in the land. Indeed, this principle was precisely what both my parents gave their lives to defend. However, as a concerned Nigerian, I would like to register my reservations about his declaration. Nigeria is a long story of stalled potential. So rich in human and other resources, it should be the jewel on the continent‘s crown. Yet, here we are, divided across ethnic nations, religion and class, poorer now than we were at independence. The challenge of moving the country forward is daunting, indeed, and the single leadership currency that stands between failure and success is not past experience, nor capacity, but trust. Nigerian people must trust whoever steps forward to lead them. Unfortunately, trust is an elusive quality even in the best of times, emanating from an individual‘s ability to do what he or she says. Considered in this manner, no other public figure suffers from a greater deficit of trust than IBB. We could speak about so many reasons for this deficit, but let us focus on one: June 12, 1993. On that day, millions of people lined up to cast their vote because they trusted their head of state who had organised the elections, who had promised to step aside for a democratic government based on the results. These millions saw the elections annulled, their votes set aside. Till today, IBB has given no credible explanation for failing to do what he said, for letting Nigerians down. In 2011, Nigeria‘s next president will promise to meet the country‘s challenges. So much of his or her success will depend on the people believing what is said. After all, it is the people that must carry out the policies designed to realise his objectives. If they do not believe, they will subvert even the best of plans. Who believes someone who has a record of not doing what he says? Who believes someone who does not take responsibility for his own actions? Who will sacrifice current gratification because this same leader now promises that the future would be better, if we only wait? However much IBB may wish things to be different, under the shadow of his past actions, he will only be seen as a continuation of all that is wrong. Should IBB wish to be taken seriously, before even conceiving a campaign, he should seek to close his credibility gap. ‘Maradona,‘ ‘evil genius,‘ and all these other epithets point to qualities of a liar, a dupe, a fraud. That persona may have been an asset in the context of a military dictatorship but in the quest for a leader that can move Nigeria forward, it is a liability. Whatever his camp may say, until this credibility gap is closed, average Nigerians listening to IBB will do so with a smirk, understanding that as he has not cleaned his hands, he need not be taken seriously. Ultimately, as the country marks its 50th anniversary, the next election gives Nigeria a chance to turn the corner. Since independence, our country and its peoples have endured one failed promise, one experience of inadequate leadership after another. Perhaps it is time that out of love for our one and only country we vote for a leader we can trust. This will not guarantee success. But without such a leader, failure is assured. 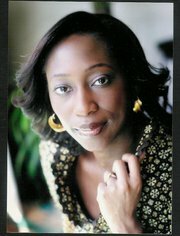 Hafsat Abiola-Costello is the daughter of late Chief MKO Abiola. Woodrow! I'm absolutely impressed and she makes a whole lot of sense. I don't like IBB for some of the same reasons that Ms Abiola Costello has listed. However, I think she needs to stop harping on this anulled election like a broken record! Every where I read about her, its the same theme ovr and over. It's not as if hr father was the epitom of democracy. From what I remember,MK was very pally with both Bagangida and Abacha as well as many other military officers, infact one can say that he was very suceessful business wise under the military government of IBB.... so please lets stop with the holier than thou attitude! People just like reinventing history to suit their image. Abiola Costello's wealth and status in society was inherited from her father. Wealth that was exploited from Nigeria under military rule. If Abiola could be reinvented from milatary collaborator and later NPN henchman to an icon of democracy, why not IBB? Was it not Abiola's ITT that fela sang "International Thief Thief" about? Let her family first pay restituition before pointing fingers. @ Anon & Pro IBB - I take your points on Hafsat Abiola Costello but she didnt just lose her dad - Nigerians lost the man and the mandate. In any case, she lost her mum as a result of June 12. Now tell me, even if you had issues with her Dad, what was her mum's crime? You all should read and properly digest it before making unnecessary comments. She is only given her honest opinion. Her objectivity on Nigerian politics is plain. on a sidebar i was just wondering at what point your family would consider returning all the money it has stolen from the country.fair enough your parents have paid for it with their lives and we all know IBB would also get his soon enough. And lets stop with all the boohooing and finger pointing dont forget he who points one finger has three pointing back at him. i could go on but i guess the whole country need space to vent their anger as well. i mean he was not president yet but had fleeced the country of so much had he been president he probably would have sold anything that was not nailed down. i dont like IBB but your folks were no better. you want Nigerians to feel better start by returning some of the money back to the people you stole it from. "no matter how much you wash a rag it is still a rag"
Olorun a ke e o! This blog takes the words out of my mouth. whatever the case maybe, a man died because he trusted. he did not vote all by himself. more importantly a hope died and from this the nation is fully yet to recover. none are pure, none are holy. but there is a distinct difference between having problems whilst caring enough to do something about them and having problems which you are now proud of. the nation barely pulled through last time. if care and thought is not taken, we may not be so lucky this time. please choose your fate well.